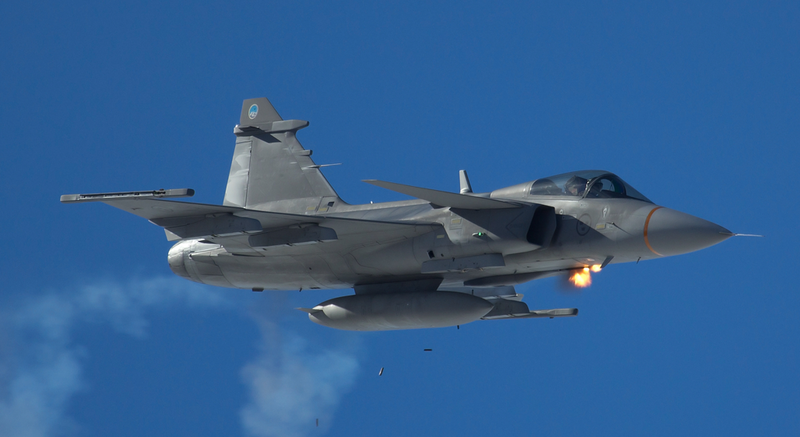 After more than ten years of discussion, President Dilma Rousseff decided the purchase of Gripen NG fighter, the Swedish Saab, for the FAB (Brazilian Air Force) for the FX-2 program. The defense minister, Celso Amorim, and Air Force commander, Brigadier Juniti Saito, yesterday announced the acquisition of fighter jets. According to the Brazilian plan the investment is US$ 4.5 billion, to be paid over a disbursement schedule through 2023. 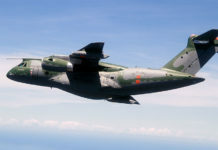 The first aircraft is expected to arrive around 2018 – approximately 48 months after the financing agreement is signed – which is expected to occur in December 2014. Four years ago Saab has offered the same package for US$6 billion,. Folha de S.Paolo wrote. According to Minister Amorim, the Swedish fighter was chosen for the government’s F-X2 program for technical reasons. 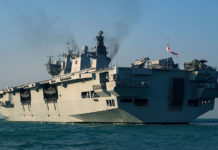 “The choice was the object of much study and careful consideration, and took into account performance, effective technology transfer and costs, both for acquisition and maintenance. The choice was based on these three factors,” said the Minister. 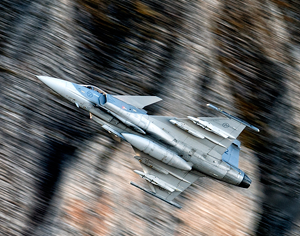 ‘Gripen E’, as the Gripen NG’ is now designated, is the latest production version of the Swedish JAS-39 fighter. 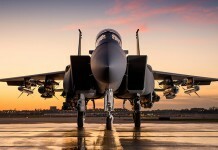 The aircraft offers significant performance improvements compared to previous versions, including a stronger engine, longer range, more weapons, new electronic radar and more advanced avionics. If Brazil procures the Gripen system it will be joining the countries operating the Gripen System today: Sweden, South Africa, Czech Republic, Hungary and Thailand. In addition, The Empire Test Pilot School (ETPS) in the UK uses Gripen in its training programme for future test pilots. Of all these, only Sweden has formally committed to the Gripen E acquisition. 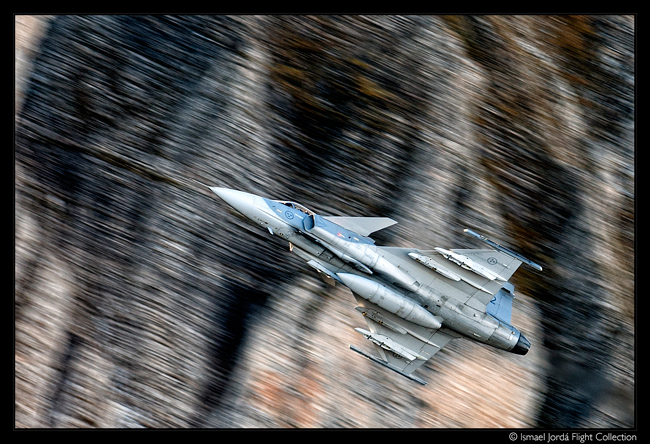 During August and September 2013 both chambers of the Swiss Parliament voted yes to the procurement of Gripen. A referendum on the procurement is expected in 2014. If contract negotiations are successful, Brazil will become the third nation to operate the advanced version. The decision, according to Brigadier Juniti Saito, was also influenced by the offset rates offered by the Saab bid, as determined by the National Defense Strategy (END). “We have several industries that have offered to contribute to the development of the fighter. At the end of its development, we will have access to all the technology used by the aircraft,” said the Commander of Brazil’s Air Force. 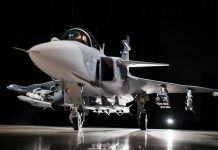 According to Saab, the offer presented to the Brazilian Government by Saab includes Gripen NG, subsystems for Gripen NG, an extensive technology transfer package, a financing package as well as long term bilateral collaboration between the Brazilian and Swedish Governments. In the past, India and Brazil discussed possible cooperation and worksharing, related to their planned acquisition of fighter jets. Both countries considered buying the French Rafale, both were offered local manufacturing and support of these aircraft, which are currently operating only with the French military. While the French offer was selected as lowest bidder in India in January 2012, contract negotiations are dragging along since. An efficient resolution and prompt delivery schedule in Brazil could bring the Indians to reconsider their selection. 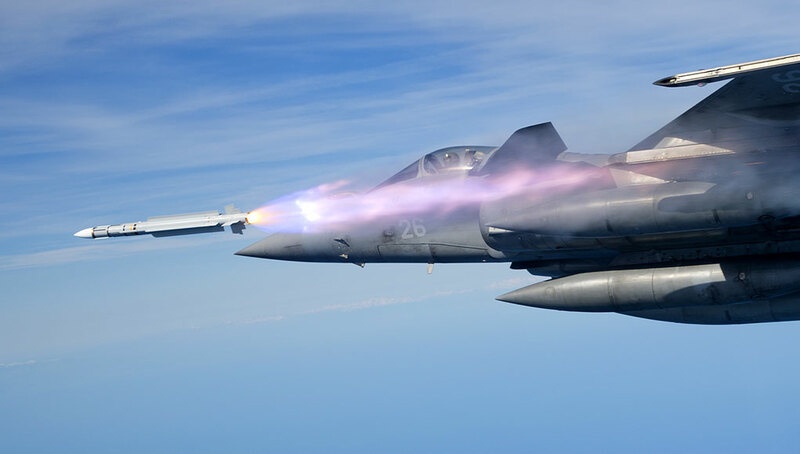 In 2000, the FX project defined the need to equip the FAB with aircrafts of air defense and air superiority capabilities compatible to the geopolitical relevance of Brazil. The FX program was the result of studies initiated in 1992, when the FAB determined the initial requirements of the aircraft that would replace the F-103 Mirage III (which had been in use in the Anápolis (GO) Air Base since the early 70s). 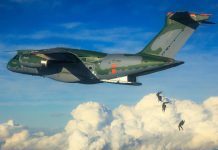 2001: Brazilian Air Force Command initiates the selection of bidders for equipment compatible with the established requirements. At the end of the year, aircraft models Gripen, F-16, Mig-29, Mirage 2000 and Sukoi 30 are short-listed as potential purchases. 2003: The bidding process is suspended by the federal government at the beginning of the year, and then reestablished later in October. 2004: With the deadline for the submission of bids not until December, the government filled the gap created by the decommissioning of the F-103 Mirage III (planned for 2005) by purchasing 12 used Mirage 2000-C from the French Air Force. 2007: The Office of the Chief of Staff of the Air Force resumed its study of the operational needs and characteristics required of the new multi-mission fighters planned for purchase. 2008: The FAB creates the F-X2 Project Management Committee, responsible for overseeing processes related to the acquisition, including directly choosing the new aircraft. At the end of that year, three aircraft were “short-listed” to proceed through the acquisition: Boeing (F-18 E/F Superhornet), Dassault (Rafale) and Saab (Gripen NG). The selection took into account operational, logistical and technical aspects, as well as the offset rates and technology transfer offered to Brazil’s domestic industry. 2009: The three finalists submitted their proposals for the final selection. 2010: In January, the Air Force Command submitted the Final F-X2 Project Report to Brazil’s Ministry of Defense. The primary purpose of the Report was to assist the federal government in making its final purchase decision. 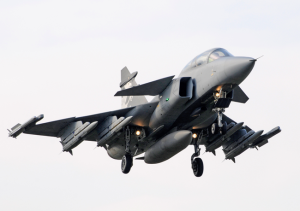 2013: Supported by the President of the Republic, Minister of Defense Celso Amorim and Commander of the Air Force Brigadier Juniti Saito announced the decision to acquire the Gripen NG aircraft from Swedish company Saab, thus ending the selection of suppliers for the F-X2 Program.